Last week we held a popular webcast on Individual Health Insurance Marketplaces. Here is a compilation of the most popular Q&A we received from our insurance agent and broker partners during the webinar on the Individual Health Insurance Marketplaces. Starting in 2014, the Individual Health Insurance Marketplaces will make it simple and more affordable for individuals and families to get health insurance that can't be canceled or denied because of pre-existing conditions. Each state's Individual Health Insurance Marketplace will provide access to coverage that will start in January 2014. Starting this October, consumers will be able to get information about plans available locally, and use the Marketplace to enroll and access available tax credits and subsidies. 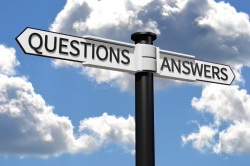 Q: Will individuals be directed to an insurance agent when they enter the online Marketplace? A: No, individuals will not automatically be directed to an agent, based on the information released so far. However, in some state Marketplaces individuals will be able to enter an agent ID number. For example, Washington DC will provide producers with a unique ID number upon registering for the DC Health Benefit Exchange. The unique ID number will be used by the Exchange and carriers to track activities and transactions, and to assign credit for sales. Q: What is the process for a health insurance agent to register with a Marketplace? Establish an Account: Agent/brokers must register and establish an account through the Exchange Portal in order to interface with the FFE. Complete Training: Agent/brokers must register for, and successfully complete, Exchange-specific training which enforces their understanding of eligibility and enrollment requirements in Exchanges. Agent/brokers must also apply this understanding to the development of any non-Exchange Web site used as a tool for enrollment. Sign Agreement: Agent/brokers must sign an agreement that documents their commitment to the FFE requirements, their willingness to periodically update the information collected at their initial enrollment, and their recognition that for the purposes of compliance monitoring they may be asked to make their records available to the FFE when required. To read the full CMS guidance see: CMS-10464: Exchange producer registration documents. Q: How will the Marketplace coordinate with Medicaid? A: Individuals and families will fill out only one application which will determine eligibility for either Marketplace or Medicaid/CHIP coverage. Each state is required by ACA to coordinate this application process and eligibility determination between Marketplace offerings, tax credits/subsidies, and public programs such as Medicaid and CHIP. What will the application look like? Click here for the draft Health Insurance Marketplace Application. Q: Will the state Marketplaces be ready in time? A: With the number of requirements and high level of coordination involved, it is likely that some states will not be fully ready for operations by October 1, 2013 when they are scheduled to open. In this case, the federal Marketplace will take over until the state marketplace is approved for operations. Perhaps the bigger question is: What happens if the federal government isn't ready? Q: We've heard that employers will not be allowed to contribute to employee's health insurance premium. Will this be possible in 2014? Q: If a group is over 50 would the HRA or defined contribution plan suffice to avoid the employer-mandate tax penalty? Q: How do agents and brokers make money through the Marketplace? A: Agents and brokers will have a choice to operate either as a traditional producer (selling individual and small group health insurance policies on and off the Marketplace), or change their business model and serve as a Navigator. Further rules will be released late summer 2013 on producers registering and selling with the exchanges, and what commission structures will be available. These will vary by state. Q: Can HRAs be used to reimburse employee's non-subsidized portion of Marketplace policies? Q: What about the SHOP being canceled or delayed until 2015? A: The federally-run Small Business Health Options Program or "SHOP" Marketplace will still open in October 2013 (for coverage beginning January 2014), however one key provision is being delayed a year. This key provision is the "plan choices" feature where a small business can, through the SHOP, offer a choice of health plans to their employees. Instead, small businesses will be limited to offering a single plan through the federally-run SHOP Marketplaces until 2015. Click here for a free copy of the on-demand webinar. What additional questions do you have on the Individual Health Insurance Marketplaces? Let us know in the comments.